What Is The Russian Ayaks Aircraft? The technological superiority of the United States of America was a major factor in the defeat of communism and ending the Cold War. Developments such as spy planes which photographed otherwise unreachable areas, stealth aircraft, etc. While there are numerous rumors of American aircraft developments such as the Aurora (covered in a previous article) that are still kept secret, there are not nearly as many rumors of similar Russian designs. In fact, there are almost none at all, odd considering the Soviet Union was the second largest super power during the Cold War, and had lead the U.S. during the Space Race. There is one rumored aircraft that is usually mentioned in discussions revolving around black (top secret) aircraft though, and it is the Ayaks. In terms of reality, it is very difficult when discerning fact from rumors when it comes to the Ayaks. For example, when researching the Aurora program, there is a financial record codenamed “Aurora,” there are plentiful sightings of the supposed aircraft, the donuts-on-a-string contrails, articles by aircraft researchers and other pieces of evidence that tend to lead towards a single aircraft program. This could be due to the secretive nature of Soviet developments, and the fact that the Ayaks is possibly still under development in the Russian Federation. When the B2 Spirit and the SR-71 Blackbird were publicly unveiled, they had been completed and in service for many years prior. The Ayaks, also spelled AYaKs and AJAX, is a rumored hypersonic (achieved by flying five times the speed of sound) stealth aircraft developed during the Soviet Union, then had development stalled during the collapse of the Warsaw Pact and the USSR, and eventually resumed development in the Russian Federation. Oddly enough, many sources believe that the Ayaks was being developed in the Soviet Union as a response to the American Aurora. However, there are also some sources who suggest that Ayaks was being developed before the Aurora. 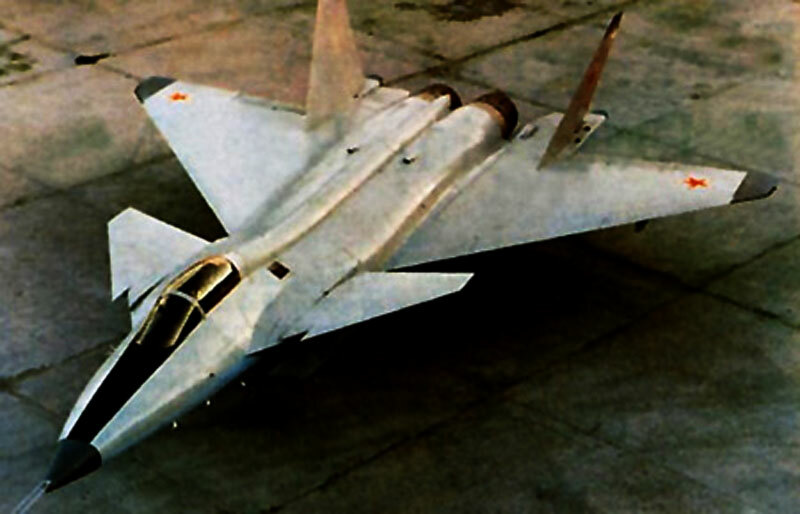 For example, Vladimir Freishtadt, a Russian designer involved in the program (which he refers to as AJAX) states that the aircraft was never finished due to a lack of funds in post-Soviet Russia. However, he states that American experts were allowed to look at the designs, and that Aurora was developed after looking at the technology used for AJAX. Freishtadt even calls the Aurora the “American Ajax.” This is odd, as Aurora did not appear on the defense budget until 1985, and the Soviet Union did not collapse until 1991. 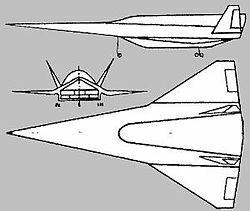 It could be that “Aurora” is simply a blanket term for an entire classified aircraft program (which is very likely and many have already suggested), suggesting that the “modern” aircraft design that is associated with Aurora did not come about until research was obtained from AJAX. This would also explain why the majority of Aurora sightings occurred after the early to mid-90’s. Once developed, there were intended to be three main variants of the Ayaks. The first would be as a hypersonic carrier aircraft, which would be used to carry satellites into orbit. This is a role already filled by the MiG-31S, a variant of the MiG-31 “Foxhound” interceptor that is used to launch satellites. 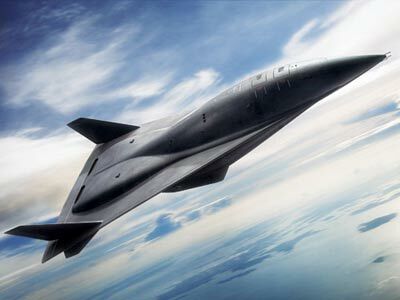 The second variant would be to serve as a hypersonic multipurpose aircraft, which could perform several roles including acting as a bomber or a spy plane. The third variant was to be a hypersonic transport aircraft, which could be used to transport soldiers or important individuals. Surprisingly, it is now being suggested that the Ayaks aircraft is being developed with a certain level of cooperation with the People’s Republic of China. In 1997, Vice Chairman General Liu Huaqing viewed a Raduga hypersonic test engine at the Moscow Air Show. Then it was reported in 2001 that the PRC was in negotiations with the Russian Federation to make contributions to a hypersonic sub-orbital aircraft program called “AYAKS” in development at the Leninets (sometimes spelled Leninetz) Holding Company. 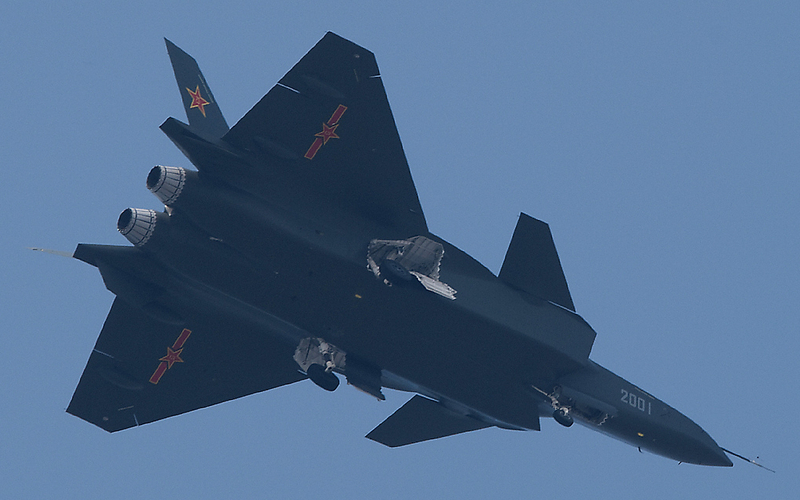 This would not be unusual for the PRC and Russia to be cooperating on aviation technology, as the Chengdu J-20, a stealth aircraft being developed by the People’s Liberation Army Air Force (PLAAF) bears considerable similarities to a set of aircraft designed by the Soviet Union. The MiG-1.44 “Flatpack” and MiG-1.42 “Foxglove,” although both were cancelled in the early 2000’s, and it is not believed that the PRC and Russia cooperated on either programs, this lends credence to the possibility that Ayaks is now a joint venture. As for what propels the Ayaks, it is theorized to possess a Magnetohydrodynamic (MHD) generator, or more specifically some kind of “kerosene-fueled magnetoplasmochemical engine,” which is expected to allow the Ayaks to fly from Russia to the US in little more than one and a half hours. The Ayaks also has the ability to convert the heat generated by air friction at hypersonic speeds into the heating capacity for fuel. Amongst other traits the Ayaks possesses is the fact that Ayaks has double shielding, which kerosene and water circulate between. 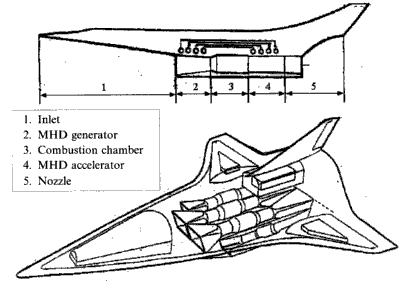 More information on hypersonic aircraft can be read here. The technology reportedly used in Ayaks is incredibly advanced (even at the time of its creation), and in 1993 a meeting held by the Scientific and Technical Council of the State Committee declared that “the concept of Ajax and its main focus is not inconsistent with the data of modern science.” Prior to that, the technology for Ayaks had not even been widely considered possible. Even with the lack of information about Ayaks, the Russian Air Force has repeatedly shown its interest in a hypersonic aircraft. In 2012 the Deputy Prime Minister Dmitry Rogozin stated that Russia would not settle for a long-range bomber like the B2, and that it would pursue a hypersonic bomber. Then on March 19th, 2015, the Military-Industrial Complex in Moscow announced the unveiling of the PAK TA transport aircraft. 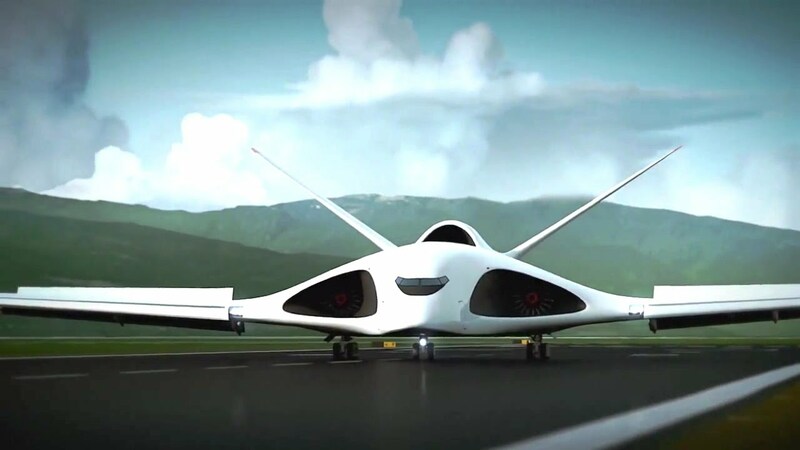 The PAK TA (not to be confused with the PAK FA stealth fighter) is intended to be a supersonic transport with multiple levels and the capability to deploy up to four hundred of the new Armata tanks or nine hundred light armored vehicles anywhere in the world in roughly seven hours. By 2024, it is expected for there to be eighty PAK TA’s built and in service. Regardless of how little information or few photos of the Ayaks there are, it is clear that there is some type of hypersonic aircraft being developed by the Russian Federation. Perhaps it isn’t one particular aircraft but rather a program, but either way the Russian Air Force seems to be pursuing some kind of hypersonic aircraft.